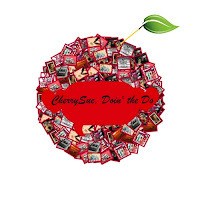 Here is an awesome guest post from Cherry Sue Doin' the Do! The season of sparkle and shimmer is upon us, folks, and despite my year round magpie tendencies, Christmas time is when we really get to shine. I do love to come up with new and eye catching nail art designs but some times glitter and plenty of it is the only thing for it. Christmas parties are one of those times. Here we have OPI's Rainbow Connection from the recent Muppet's collection and Sally Hansen's Effects real nail polish strips in Frock Star. 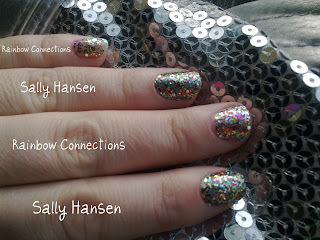 I've used them on alternating fingers as you can see to show you how similar these glitters actually are. 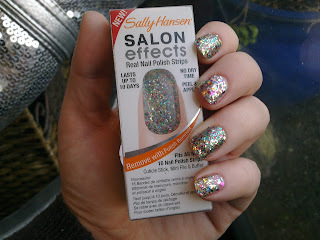 With the rumour mill buzzing about Rainbow Connections becoming harder & harder to source (like the Mad as a Hatter nightmare, that polish haunts my dreams!) you can take heart, looking at these snaps that there'll always be a fairly spot on dupe. 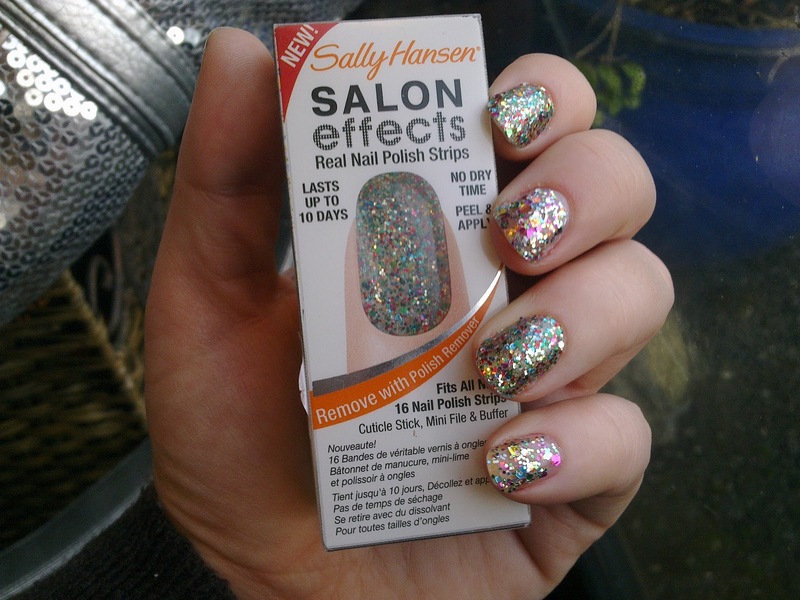 In comparison of these two: even though there's 3 coats of OPI there, you can still see that the strips yield a more densely packed glitter, which is what we want, right? They also have the advantage of 10 days wear, I've tested that theory & it's true!. 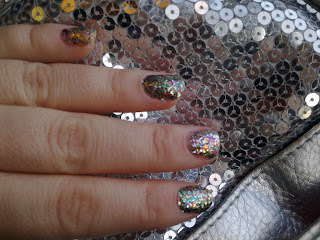 If you wanted the denser effect with OPI though, I'd suggest a base coat of silver to really make it pop. 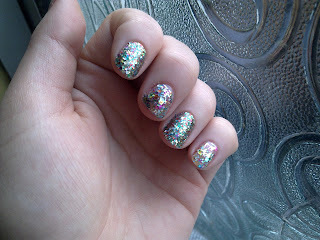 Always be sure to use a top coat, such as Seche Vite on both though. Handy Nail Tip: When it comes to glitter removal the best I've ever used is Cutex Moisture Guard (The green bottle) and a sheet of kitchen towel. 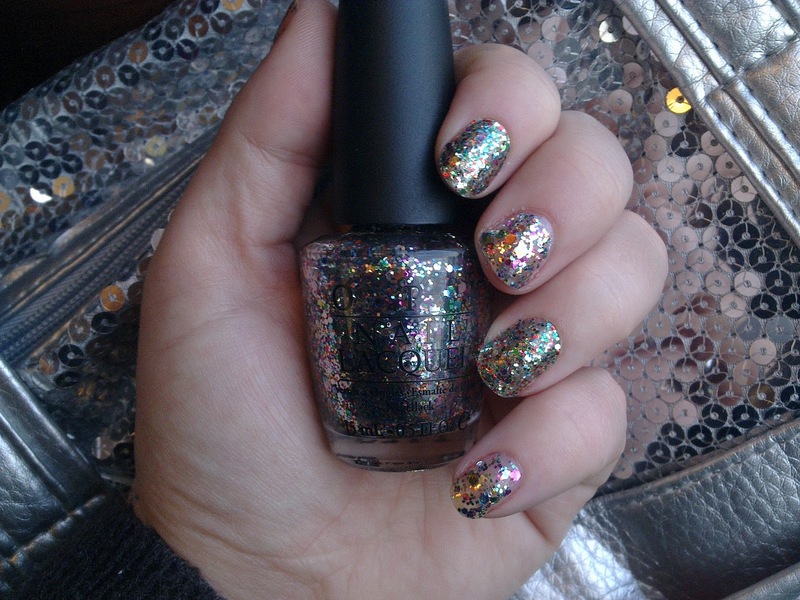 If you're polish is refusing to budge swipe on a coat of any old polish, wait for it to get tacky & swish the lot with Cutex. Miraculous.